The football world today started mourning the death of Johan Cruyff, who’s passed away aged 68 having lost a brave battle with cancer. 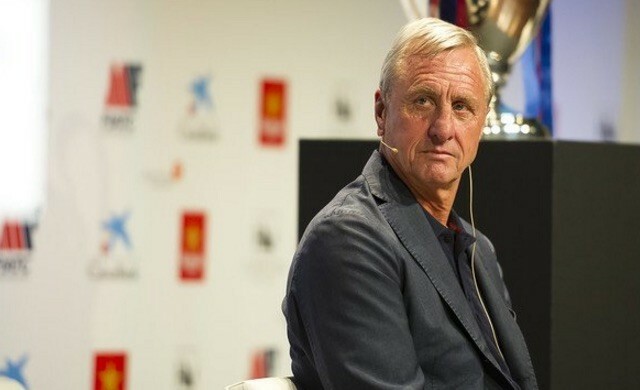 Eulogies for the legendary Dutchman will dominate the next week, but his former club Barcelona issued one of the first today with a simple, yet powerful tweet. Cruyff represented the Spaniard behemoths between 1973 and 1978, and it was his influence that helped transform them into what they are today. He also coached Barcelona between 1988 and 1996 and much of the footballing philosophy instilled at the club today is his doing. Quite simply, he’s one of the greatest players ever born and one of the best managers to boot. Football is a sadder place without him.